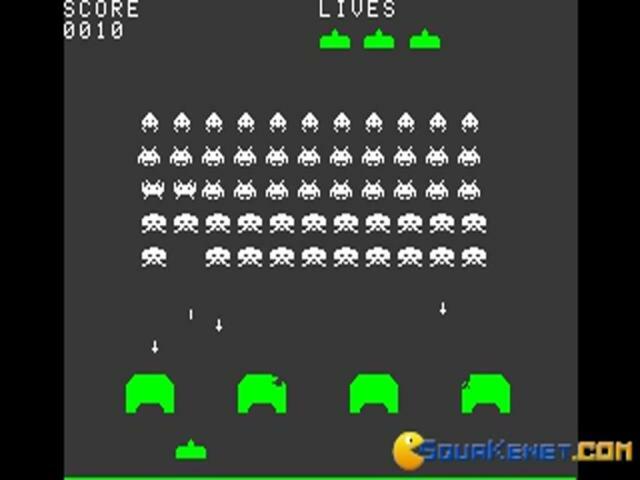 The aliens will come from the sky! 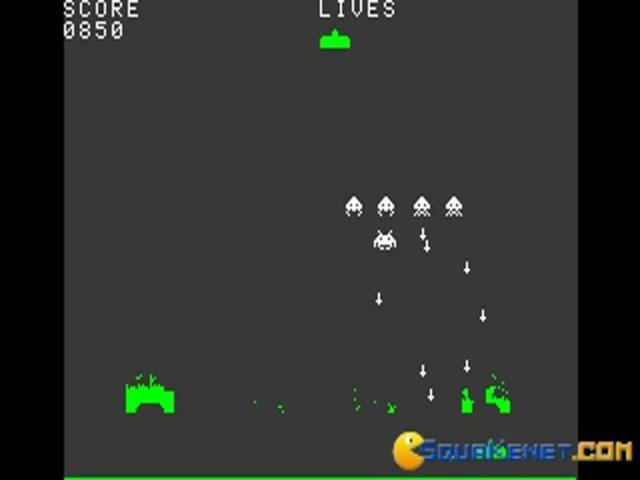 That is without a doubt what we all know about alien invasions, whatever they might be like, whatever they might entice, they will come from the sky! Thus, it makes sense to think that one of our ways of preparing for this will be to actually blast them away with cannons, while trying to hide our artillery away, in whatever way we might be able to, through rubbled pieces of concrete, through all sort of half destroyed constructions and what have you. 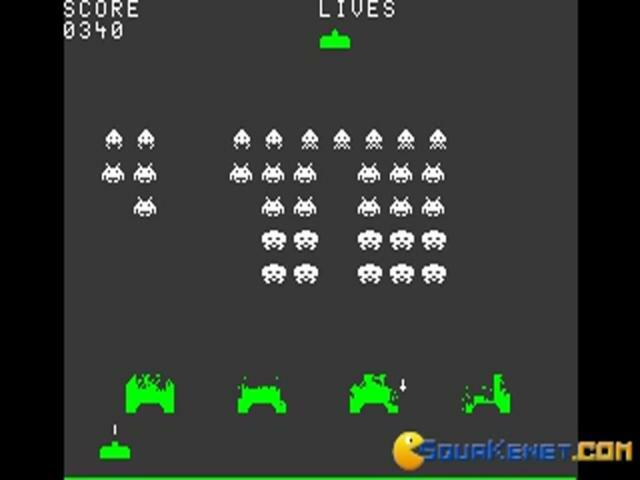 Anyway, Space Invaders does just this, esentializes this exact scenario, where aliens are coming from way above, and we have to shoot them down. 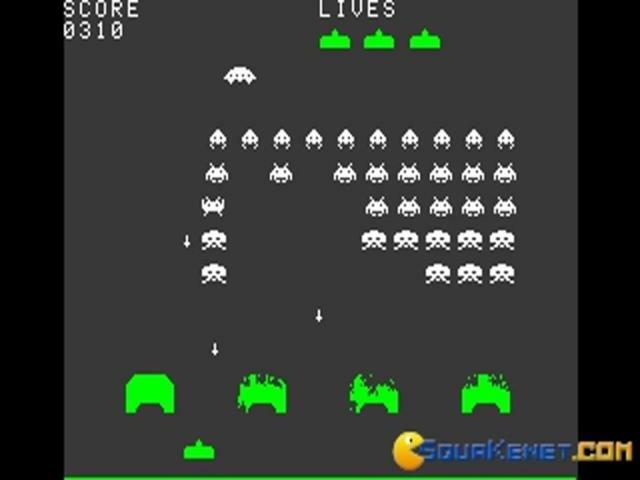 Shoot, shoot, shoot, dodge, make sure the aliens don't get us. We have a few pillboxes to hide under, but these will take damage as time goes on, so it's a good idea to be fast an accurate. 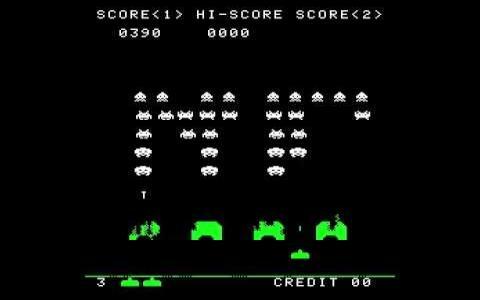 A game that is as forward and as unassuming as arcade shooters have ever been, playable, simple to control and to get and absolutely enticing. 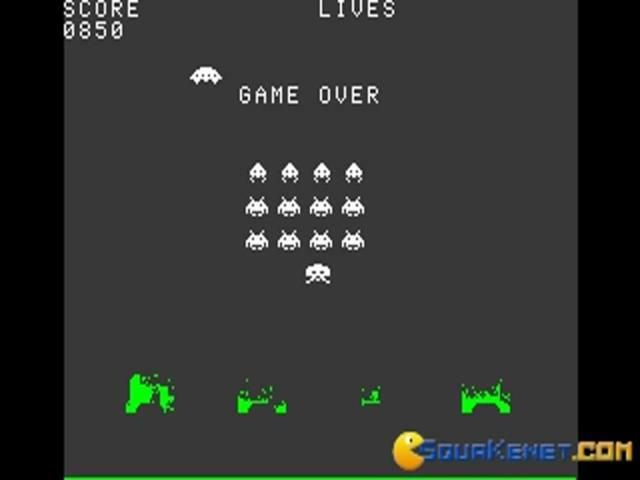 And, plus, this Taito version is the original one, which should satisfy purists even more, as well all know that they sure love the originals. And so you'll love it it too! 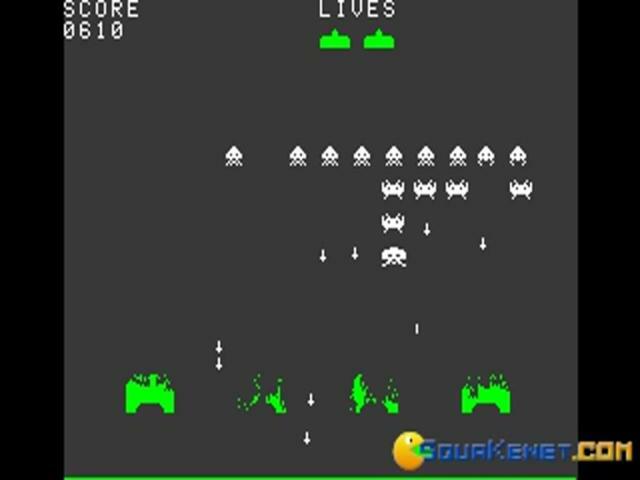 And when you're done with it, see Galaxian, a game that has a very similar premise but is faster and more diverse. 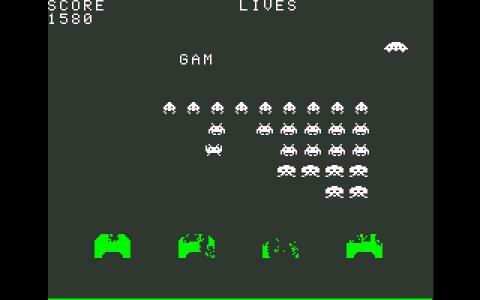 Here is the game made Atari famous: Space Invaders, an arcade classic which I will never forget. 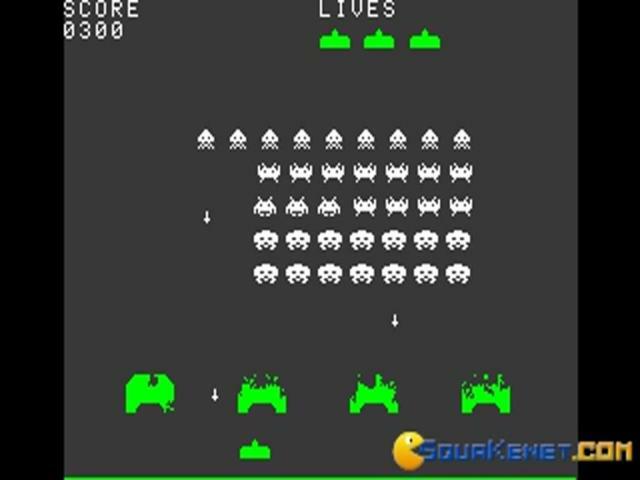 There was a game on the NES which was very similar to Space Invaders, Galaxian, but from Space Invaders onward everythig was just a clone. 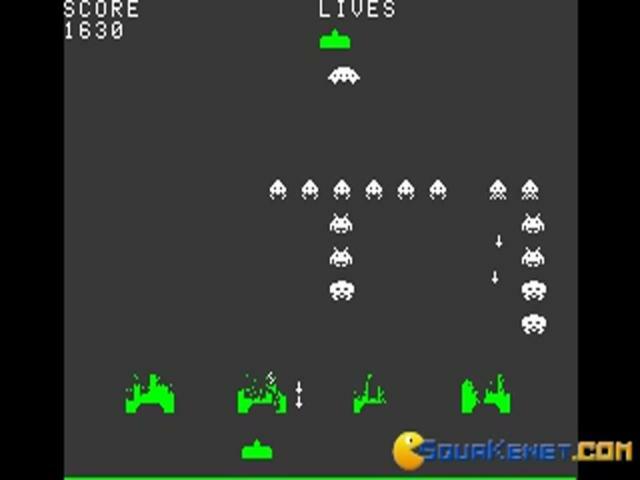 The gameplay is very simple: you control what seems to be a small tank, shooting at aliens who come down towards you. The only objective is to destroy them all. 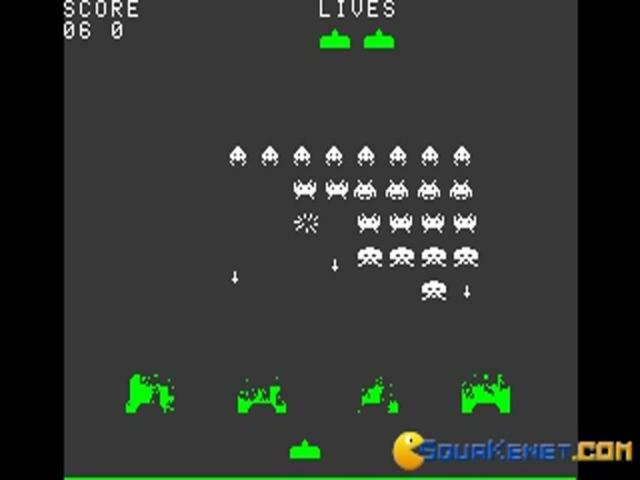 The graphics are simplistic and colorful and the sound reminds you of Atari's golden age. 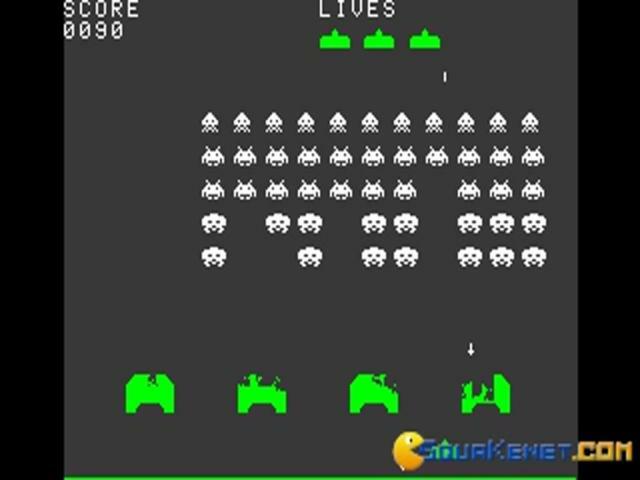 In conclusion, only word can describe this game and that word is CLASSIC! If you ever happen to stumble upon this, go ahead and try it out!